I keep my prices affordable, however, all my cakes are custom made to order, never frozen and therefore are priced accordingly. I will only commit to one major cake per weekend. This way, I can concentrate solely on that cake and ensure when your cake is delivered to you, it is just as beautiful as you dreamed it would be. You are urged to schedule a consultation at least 2-3 months in advance for wedding and other tiered cakes, and at least 1-2 months in advance for large 3-D cakes. Other smaller cakes should be consulted on no less than 2 weeks in advance. I limit the number of cakes I schedule per week so you’ll want to schedule early. If you are inside the suggested time frame , do not hestitate to contact me, as sometimes I will have a last mintute opening. Your consultation may be a meeting with me or through e-mail or phone contact. During the consultation, we will discuss your ideas, expectations, needed servings and choices of flavors and icings. You are welcome to bring any pictures and ideas with you. Keep in mind, while you may like a particular cake in a picture, I strive to make your cake a one of a kind work of art and not just a copy someone else’s work. Once we have agreed on a design and size for your cake, I require a non-refundable deposit of $75.00, and a signed contract, for any multi-tiered or 3-D cake with a price above $100.00. This will reserve your cake date. 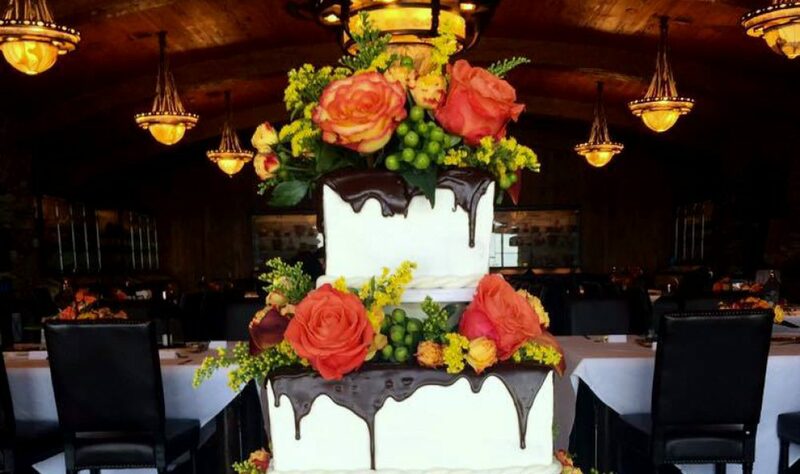 Fifty percent of your cake cost will be due 30 days prior to your event with the remaining balance of your cake cost due 14 days prior to your event. I will apply your initial $75.00 deposit to your final cake payment. Some larger cakes require significant boards ,supports, stands or props. If your cake requires any of these, there is a 25.00 deposit required along with a non-refundable rental fee.These items are to be returned, clean, within 4 days of your event. Late return or dirty, damaged pieces will result in the forfeit of your deposit. Changes to your cake size, description, flavors, etc., will be accepted until 2 weeks prior to your event and may affect the price of your cake. After that, Incredible Icing can not accept any changes. Any special ornaments and toppers you wish to use can be brought to me at least 7 days prior to your event. Topping cakes with heavy ornaments or ones not secured properly could damage them or your cake. If anyone other than Incredible Icing adds to a cake, we are not responsible for the damage. If you cancel your cake order prior to seven days from your event, you will not be refunded your deposit, but I will apply it to another cake order from you within the next 60 days. In the event Incredible Icing must cancel your order at any time, you will receive a full refund. 3-D and multi tiered wedding cakes require me to spend time on site with finishing touches and touch ups these cakes will be delivered. For that reason, I do not charge a delivery in the immediate Branson area. All other deliveries will be subject to a delivery fee of $10.00 and $1.00 per mile each way. A delivery fee is a separate charge and can be added to your cake balance or paid separately. It is due 14 days prior to your cake delivery. There will be no fee for your cake to be set up at your event, however, if you wish for me to set up your display, along with your cake, I do charge a fee of $10.00 and you must supply me with the items (i.e. your cake table, flowers, knife and server, napkins, plates) and a specific diagram of what you would like. Due to the effects of outdoor weather conditions, tables on un-level ground, blowing wind, undesirable atmospheric item(dirt, leaves, branches, sunlight, heat), insects and other wildlife, you must understand that products such as icing, fillings, and cake decorations may not hold up and can not be insured past satisfactory delivery and set-up. Just as there are effect from the outdoors, there are some to consider indoors as well. Excessive heat or spot lights, unstable surfaces, and unsafe locations(next to a dance floor, stairway or door).Because of these conditions, you or your representative will be required to sign a Delivery and Release Form upon receipt of your cake. Again, some cakes may be picked up. We will set an agreeable pick up time in advance. No cake will be released without payment in full. Please remember, if you are picking up your cake, you will want a safe flat surface for it to ride on. Some cakes will be on cumbersome boards and you will want to measure to insure you have ample space for the ride. Upon pick up, you or your representative will be required to sign a release disclaimer.